Fundraiser by Lana MacDonald : Help send Tyson down under! Help send Tyson down under! decided to start a new chapter in his swimming and gave para swimming a shot. He has been very successful and is a 13 time National Record holder. He was accepted at Sir Wilfred Laurier University and is now in his fourth year. Now, some of you may be wondering how he’s able to attend university considering his disabilities. That where Tyson’s commitment, determination, drive, positive attitude and hard work come into play. School has always been a challenge for him but even when it was recommended that he be put in the locally developmental stream for high school, he was determined to prove them wrong. He wanted to be a teacher but was told that he wasn’t university material. Even with the deck stacked against him, he is determined to prove that he can achieve his dreams. Being on the autism spectrum, an only child, being raised by a single mom without financial support from his father and his father not even wanting to be part of his life hasn’t stopped Tyson. In fact it gives him more reasons to prove to the world that he’s not a statistic. He graduated high school as an Ontario scholar, won several scholarships and was accepted at all of the universities that he applied to. He did a victory lap and took courses on line but that doesn’t really matter. What matters is that he accomplished his goals. He does have a reduced work load at university partly because he’s a high level athlete and that requires a huge commitment of training in and out of the water. 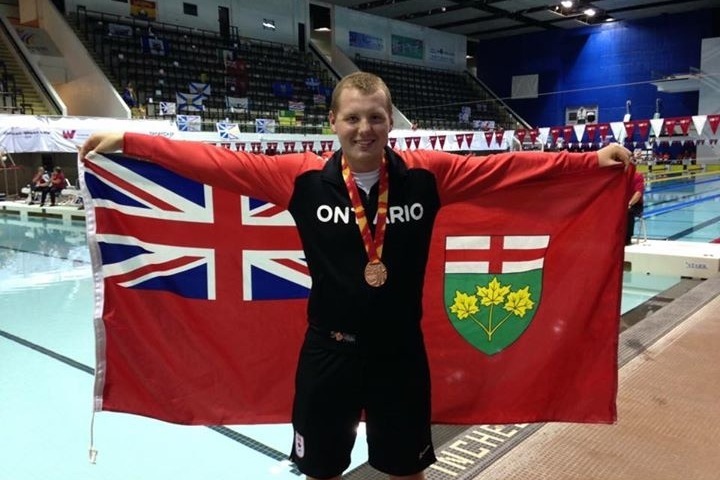 At the Canada Summer Games in 2017, Tyson won 7 medals, 6 gold and 1 bronze. The bronze medal was his most meaningful medal of the meet. 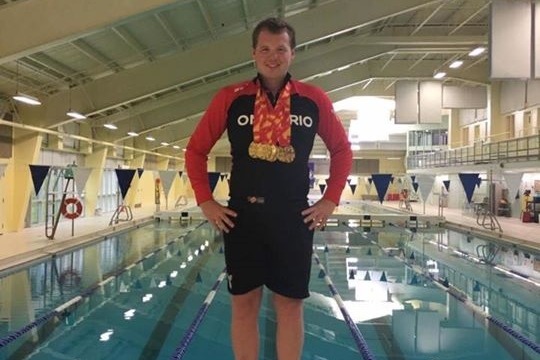 He learned that a Special Olympic swimmer was denied his bronze medal due to an official technical error and the decision couldn’t be reversed. Tyson took it upon himself to present his own bronze medal that he had won in the 100 fly to the swimmer that was denied receiving his bronze medal. It was a generous and selfless gesture for Tyson to perform so that the swimmer could receive not only the medal that he deserved but the recognition for his accomplishments too. What an example of true sportsmanship! Tyson’s ultimate goal is to represent Canada at the 2020 Olympics in Tokyo. In order for that to happen he needs to be able to make the national team. The key component to making the national team is having his international classification for his para swimming. 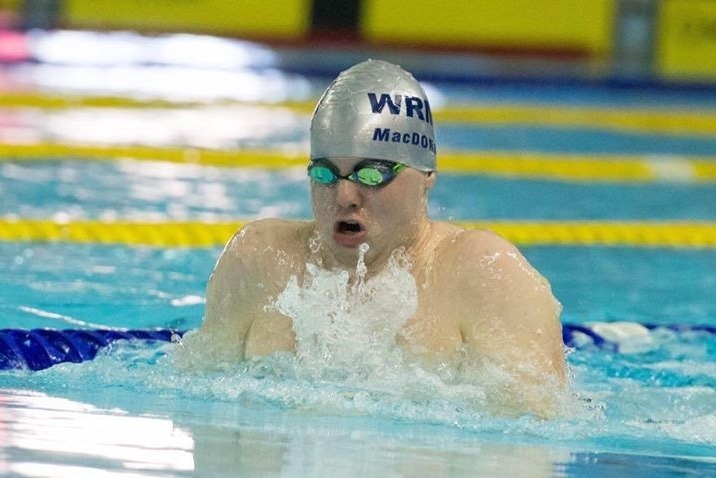 After 2 years of waiting, Tyson has secured his international classification spot and will also be competing in the World Para Swim Series Meet as well. He has to travel to Melbourne, Australia and leaves on Feb 9. He has to pay for all of the expenses himself including airfare, accommodations and transportation while in Melbourne. It’s very expensive and there isn’t a lot of time to come up with the funds for him to go. Tyson needs your help so that he can make his dreams a reality of making the national team and potentially qualifying for the 2020 Olympics. With your generous donations, you’ll be helping this incredible athlete travel to Melbourne, Australia where he can achieve his international classification in para swimming in the S14 category, the last component needed to qualify for the national team. Please consider making a donation today. Tyson and I (his mom) thank you in advance for all of your support.